Expand the backyard and make it usable for the owner’s three young children to enjoy. Unfortunately, the previously hired contractor never came back to finish the project. A simple, structural retaining wall that looks great and compliments the shed very well. Efficiency, ease of use, and a beautiful laundry remodel was on the docket for this Windham family. Spatial uses the power rake for fine grading around a project before seeding, resulting in the perfect lawn. A backyard project that involved creating a paver patio, mitigating water issues, and developing an area for a family to entertain. This pergola is creative and functional work of art. 16′ X 20′ and made from western red cedar, it is built with large and small timbers from Washington State. Truly stunning. A beautiful, functional and worry free clay tennis sport court compliments a modern, exclusive, contemporary home perched high in the hills of Bedford, NH. Breathtaking. Check out their basement, Spatial remodeled this too! Yard expansion and solar excerpt. 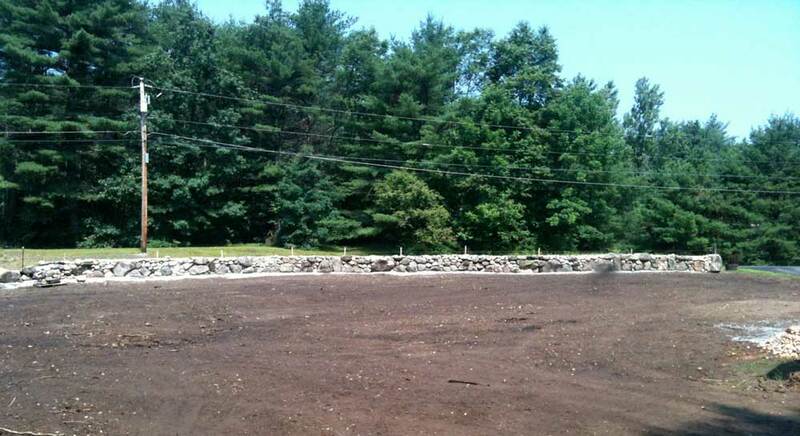 Sport court Windham NH: A challenging backyard and a clever approach to problem solving meant the perfect sport court. Spatial turned a backyard filled with potential into an amazing estate complete with a sport court, a relaxing enclave by a secluded pond, and a barn perfect for entertaining parties of all sizes. Spatial created a backyard oasis by completely overhauling a gunite pool and patio. An elevated, Composite Deck built with craftsmanship, strength, and precision, incorporating functionality, value, and usability. A beautiful creation from the artisans at Spatial. This unique patio is perfect for entertaining or relaxing. Awnings, light fixtures and full landscaping will be completed in 2017. This Bedford Basement is a theatre junkies obsession. A reference theatre, with all speakers enclosed within the walls, is state of the art. A fully insulated space with Italian carpet to boot! Magnificent. Go Granite! Nothing beats a 4,000 lb slab of native New Hampshire granite in your front entry when welcoming friends and neighbors to your house with beautiful Curb Appeal. Spatial worked to regrade a backyard, stabilize a deck, build a paver patio, and complete a backyard refresh for this southern NH home! Bluestone is a soft and luxurious stone. If purpose cut and laid with skill, can become a tranquil setting like the one here, leading to a new dock. Built to last with many extras, an entertaining mecca! 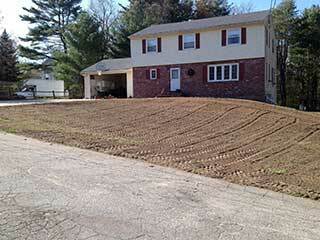 Over 1900 square feet of below grade Bedford NH basement that is welcoming, abundant, and usable. Complete with Gym, 2-player tennis wall, bike/elyptical room, abundant closet space, pocket doors, natural lighting, and lots of fun! This 18×22 Insulated Timber Frame Barn is the perfect space for crafting and relaxing. An insulated subfloor with vinyl laminated lifelike wood flooring adds to the ability of homeowner to stretch out the many sewable fabrics and cosplay prototypes. Thoughtful lighting inside and out, includiing the cupola, add to the exclusive beauty of this New Boston, NH barn. Built to withstand hurricane force winds, this reconstructed front entrance will also support any seasonal trimmings too. Bring on the pumpkins, we’ve got Halloween Curb Appeal! An insulated concrete form home is a great way to spend less than $1,000 annually to heat and cool your new home, regardless of the size. Discover the advantages of ICF today. Spatial can build your dream home and get you off the grid completely! This 14×16 Timber Frame Barn is truly a one of a kind creation. Erected in Windham, NH in 2015, it was one of the most enjoyable and fun barns for Spatial to build. Spatial completely overhauled a pool and backyard, resulting in a beautiful backyard oasis. Spatial and partner Tennis Courts of New Hampshire worked to plan and develop this unique project in Bedford, NH. A stunning & beautiful, ZURI Composite Deck that rivals the elegance of a Mediterranean yacht! Built on a full foundation, there is no limit to the number of party seekers this deck will entertain. Proper design and planning went into this residential Parking Expansion in Bedford. A full size basketball hoop along with nearly 100′ of seating surface means plenty of parking and space for all the neighbors. 25,000 square foot small business parking lot replacement, 15,000 square foot grounds expansion, and new retaining wall. A 23×54 Timber Frame Barn nestled within the town setbacks on a 7 acre residence, this barn is sure to be a future Bedford, NH landmark. Mainly used for storage, this carriage style barn is beautiful. A 28×36 Timber Frame Barn with full loft came to life in Bedford NH. Complete with Cupola, awning style windows, quiet lift garage doors, craftsmen entry doors and shiplap exterior. This barn is beautiful inside and out.